This event is now sold out. We apologise for any disappointment. Survivor Leisel Carter will be speaking at the Holocaust Exhibition & Learning Centre on Sunday 9th June. Please click here for event and booking information. Iby Knill was born in Bratislava, then part of Czechoslovakia. 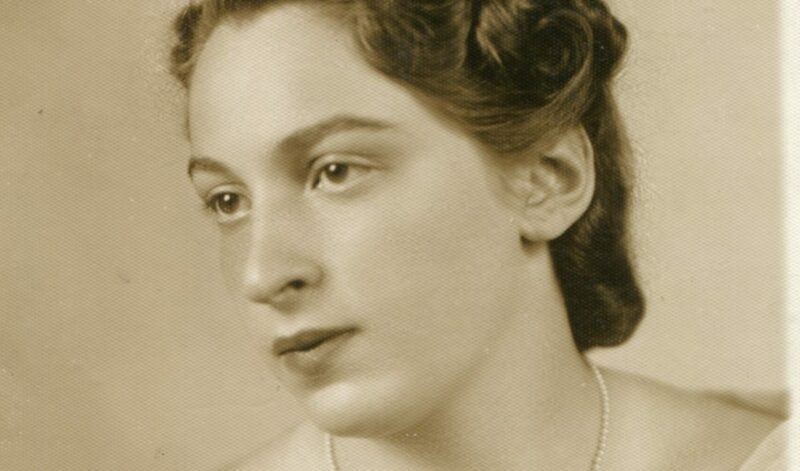 She escaped to Hungary shortly after the Nazi invasion, but was later caught and deported to Auschwitz-Birkenau. Iby survived selection at Auschwitz and was later transported for forced labour in the hospital of an armaments factory in the Ruhr. In the final stages of the war the SS evacuated the factory and took the prisoners on a forced march further into Germany. Iby was liberated while on the road on Easter Sunday, 1945. After liberation Iby worked as an interpreter for the British Army in Germany. It was here that she met her husband, Bert, an army officer. The couple moved to the UK and made their life here with their two children. Now 95, Iby still lives in Leeds. We are privileged to host Iby at the Holocaust Exhibition and Learning Centre. Iby’s story features in our exhibition and she has been an active speaker for HSFA and other organisations for many years. Iby will talk about her experiences, take questions, and sign copies of the two volumes of her autobiography, The Woman Without a Number and The Woman with Nine Lives. Iby’s talk is suitable for young people and adults aged 14 and over. The Holocaust Exhibition and Learning Centre will be open from 12 – 2pm to enable guests to see the exhibition, and again after the talk. Refreshments will be available after the talk for a small donation.